Occasionally, we feature artist’s work for a specific holiday. 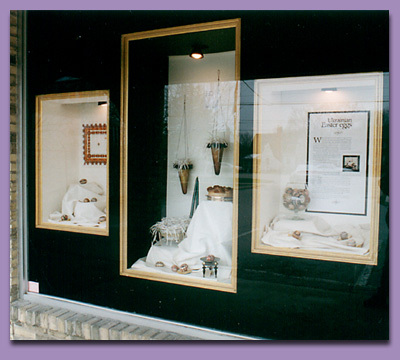 In this Easter display, we created three illuminated extra deep shadow boxes and mounted them on risers against the plate glass windows. To hide the risers as well as to focus on the displays, we painted the remainder of the glass with a light-blocking paint.